UNESCO Decides Center of Chistianity in "Palestine"
The UNESCO World Heritage Committee voted in a surprise decision Friday to include the Church of the Nativity, in the West Bank town of Bethlehem, as a World Heritage site. The vote, in the Russian city of St Petersburg, was 13 in favor and six against - with two abstentions - more than the two thirds required for inclusion on the list. The Church of the Nativity is regarded as the birthplace of Jesus Christ, and is perhaps the biggest tourist attraction in the West Bank. Palestinians push for Bethlehem UNESCO recognition Palestinians are making a last push to get parts of biblical Bethlehem recognized as an endangered World Heritage site ahead of a decision expected this week. The decision, submitted under emergency procedure once the Palestinians missed the deadline, came as a surprise. Both the World Heritage's technical advisory body, as well as the committee's secretariat, had said the Palestinian application did not met the necessary criteria to be listed through the emergency procedure. Salam Fayyad, prime minister of the West Bank-based Palestinian Authority government, welcomed the decision, saying it "shows the significance of Bethlehem to the world, and to world heritage." "This is a victory for Palestine, as well as for justice, rights and human principles," he said. "It is a welcome recognition by the international community of our historical and cultural rights in this land," Palestine Liberation Organization Executive Committee member Hanan Ashrawi said. Israel had objected at the church's being included as a World Heritage site in "Palestine," seeing it as the latest Palestinian attempt to pursue statehood unilaterally through the United Nations, rather than via negotiations. In October, UNESCO had angered Israel by accepting Palestine as a member, even though it was not a United Nations member state. "We're not opposed in principle to the Church of the Nativity being a World Heritage Site. That's not the issue. The issue is the politicization of UNESCO," Israeli Deputy Foreign Ministry spokesman Paul Hirschson told the German news agency dpa. "The issue is the violation of UNESCO's own rules, after its own committee said there was no imminent danger to the Church, so no emergency procedure was needed," he said. "Instead of taking steps to advance peace, the Palestinians are making unilateral moves which only move peace further away," a statement from Israel Prime Minister Benjamin Netanyahu's office said. The United States, which like Israel opposed the Palestinian application, was also critical of the result of the vote. "In the 40 years of the World Heritage Convention's existence, the emergency procedure has been used only four times and only in the most extreme cases, and always consistent with the recommendation of the advisory bodies. This body should not be politicized," U.S. Ambassador to UNESCO David Killion said in a statement. The Nazareth conference was held recently to celebrate 150 years since a tiny dispensary was established in Nazareth by a devout Scottish couple, Dr. Kaloost Varden and his wife. The hospital was then officially adopted by the Church of Scotland and today it is the Israel Government Hospital for Nazareth, still supported from Scotland. 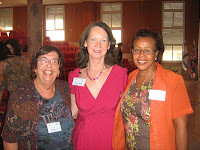 Irene Murray was the head midwife there for many years and through the work of my very good friend Wendy Blumfield as a childbirth educator, they all became good friends. Workshops were given which were attended by Arab and Jewish midwives and Tipat Halav (child welfare clinic) nurses from the kibbutzim and villages around as well as from the Nazareth hospitals. The conference workshop was given by another British midwife, Kathryn Gutteridge, on the subject of helping women in childbirth after a history of sexual abuse, a problem that applies to every culture. In the audience were midwives, social workers, childbirth educators and doulas, Arab Moslem and Christian, Jewish secular and religious. Many of them knew each other, hugged on meeting and chatted so much it was difficult to keep the coffee breaks to the allotted time. Where are the BBC and the Guardian? Is this Apartheid? Aleh is Israel's largest network of residential facilities for children with severe physical and cognitive disabilities. 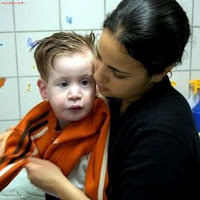 http://www.aleh.org/eng/index.asp They provide 650 children in Israel with high-level medical and rehabilitative care in four residential facilities. Shira wakes up to the smiling face of her caregiver, Naama, who showers Shira, puts on her body brace and splints, and helps her choose her clothes. Shira maneuvers her specially-adapted wheelchair into her classroom, where she greets her six friends, their teacher and assistant. Today, they enjoy petting Bobbie during pet therapy. This is followed by a computer rehab session and a variety of cognitive-development games. Shira and her friends participate in a group snack time program, with a communication therapist leading the children in alternative communication devices to express their choices. Today, Danny chooses applesauce and chocolate milk. Shira's physical therapist helps her develop better muscle control and stamina. Shira relaxes in a calming, soundproof room full of lights, colors, aromas, vibrations and music. The speech therapist joins the nutritionist to observe Shira’s improved ability to eat by herself and digest her food, and to plan the next steps in encouraging a higher level of independence. Michael, a professional medical clown, blows up balloons and draws huge smiles from Shira and her friends. With Tali's help, the group finger-paints – one of their favorite activities. Tali follows the new set of instructions left by the speech therapist and Shira tries to get the meatballs and vegetables in her mouth all by herself. Tali jots down a quick report on Shira’s achievements. In the clinic Shira smiles at the nurses, who check her blood-pressure and respiration. A rehabilitative assistant helps clear Shira's lungs and upper airway from excess secretions. "Sweet dreams," whispers Tali, as she secures Shira’s bed rail and tucks her in with a goodnight kiss. Hope for the Israeli-Palestinian conflict ?? 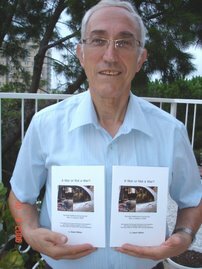 http://www.jpost.com/Opinion/Op-EdContributors/Article.aspx?id=185729 I have many criticisms of Israel, but the functioning universal health care system and its ability to separate the conflict from medicine earns my praise. A well-organized, well-equipped group of terrorists has attacked Israel from Egyptian territory Monday morning, possibly the second such Egyptian-assisted assault in a week. An armed squad of two men—said to be Hamas, though this is not confirmed—crossed the border after travelling 30 miles from the Gaza Strip through Egyptian territory. They wore flak jackets, camouflaged uniforms, and carried a large amounts of explosives. Members of their support team remained on the Egyptian side of the border. The two men hid by Israel’s highway 12, near an area called White River Lake. When two vehicles came by, carrying workers finishing up a security fence to guard against just such attacks, they set off a bomb that had been placed on the roadway and fired a rocket-propelled grenade. Both missed but bullets from a Kalashnikov hit one of the vehicles which flipped over. One Israeli, an ethnic Arab labor contractor, was killed, two or three terrorists have been shot dead. Within minutes, Israeli soldiers arrived and fired on the terrorists. Their bullets blew up a suicide vest being worn by one of them, killing two of the attackers. This event follows a report in Haaretz newspaper, attributed to Israeli security officials, that the Muslim Brotherhood had asked Hamas to attack Israel. According to the story, an Egyptian Bedouin unit was given the job of firing a rocket, which landed in open ground in southern Israel. This story was not picked up by other Israeli newspapers, suggesting either that it was wrong or that it had been a security leak which the army had then stopped. So far this year, 280 rockets have been fired from the Gaza Strip into Israel. This has prompted no international concern or action. The new fence along the Egypt-Israel border is mostly complete but due to difficult terrain the last portion will only be finished late this year. At any rate, we are now at the beginning of Egypt’s involvement, directly or indirectly, in a new wave of terrorist assault on Israel. If the Muslim Brotherhood takes over Egypt, a likelihood made less probable perhaps by the military’s dissolution of parliament, this offensive will enjoy official support. Even if the army remains in control, the Brotherhood and Salafists will use their considerable assets to back this new insurgency war. The ultimate scenario would be if Hamas decided to renew a large-scale offensive against Israel from the Gaza Strip using rockets, mortars, and attempted cross-border attacks. Egyptian Islamists would send volunteers and money. The Egyptian army would not be scrupulous in stopping the smuggling of weapons, terrorists, and money across the border. As Egyptian fighters are killed in the Gaza Strip the hysteria in Egypt would escalate. In such a scenario, the army would also allow Hamas to have military bases and headquarters on Egyptian territory, where Israel could not attack them. Indeed, this is already happening. And the Egypt-Israel border would not be protected from cross-border attacks. A most serious scenario would be if Egypt itself was dragged (under an army regime) or went willingly (under a Brotherhood one) to war with Israel. As for the presidential election, the Brotherhood candidate, Muhammad al-Mursi, is enjoying a small lead and is claiming victory but the counting continues. He has openly declared his support for Hamas and priority on battling Israel on some level. Those campaigning for him, in his presence, have said that the Brotherhood is seeking a Sharia state in Egypt and a caliphate over the whole Middle East whose capital will be in a conquered Jerusalem. The Salafists–a coalition of many hardline Islamist groups–gave the Brotherhood candidate full support. A close and contested outcome–secular candidate Ahmad Shafiq is already charging that there has been massive fraud–would create more instability and violence. Where is the U.S. government in all of this? It’s insisting that the Egyptian military turn power over to a civilian government which, until last week, would have been a Brotherhood government. Washington is merely a distant observer, and one continuing to insist on Muslim Brotherhood moderation despite that group’s extremist history and actions. In short, despite verbal declarations, the Obama Administration is not on Israel’s side in this developing crisis. Ironically, the president’s main boast is that his government is supplying Israel with lots of weapons. The problem is that these weapons are made necessary precisely because of the regionally disastrous security situation the administration has helped to create. Israel attaches great importance to on 20-22 June. The unprecedented scope of the Israeli delegation at this year's Earth Summit, RIO+20, to take place in Rio de Janeiro signifies the importance Israel assigns to promoting sustainable development in Israel and in the international arena. Israel is well known in the world for its expertise and vast knowledge in the field of sustainability, in topics such as water, agriculture, food production, forestation, desertification and others. These are some of the topics that will be discussed at the United Nations Conference on Sustainable Development, to be held in Rio de Janeiro on 20-22 June 2012. About 130 world leaders and about 50,000 people are expected to attend from around the globe. The main topic of the conference will be building a "green economy" for the eradication of poverty in developing countries, with an emphasis on energy, water, food, cities, green employment, the oceans and disasters. The conference will also address how to prepare for the era after 2015, the target year for the UN's millennium goals, and how to make the subject of sustainable development an integral part of the international system. promotion of sustainability in Israel and Israeli foreign aid. This week, for instance, Israeli Prof. Daniel Hillel won the 2012 World Food prize for his work in developing the micro-irrigation system, thus contributing to food security. Israel shares its expertise with the world in the framework of foreign aid (through MASHAV, Israel's Agency for International Development Cooperation), its economic and professional relations with other states and its activities in the international arena. For example, the UN General Assembly adopted an Israeli proposal for a resolution in the field of "agricultural development technologies" to provide a solution to global challenges arising from poverty and the food crisis. Furthermore, last year Israel hosted an international preparatory meeting ahead of the conference that addressed green agriculture and sustainable development to eradicate poverty and hunger in the world. Delegates from 28 countries attended. Two Israeli side events will take place in Rio: one on the subject of environmental agriculture and the eradication of poverty; and the other on solutions for municipal water systems. Israel's Jewish National Fund (JNF-KKL) will manage a study center on forestation and water, and Israeli experts will participate in international panels. There is a long-overdue conversation which must be had. It will not be a particularly pleasant one, but it is essential all the same. When the self-defined ‘pro Israel, pro peace’ group Yachad set up shop in the UK last year, its ‘statement of core principles‘ placed it firmly on the Left of the political map. Whilst history has proved time and time again that ‘Left’ does not necessarily equate to ‘democratic’, Yachad does claim to be “committed to Israel as a democratic and Jewish state”. Let us, for the time being, put to one side the irksome fact that despite the above claim, Yachad appears to have no qualms about co-operating and collaborating with a whole plethora of organisations and individuals decidedly less than dedicated to maintaining a democratic Jewish state – including its support for the non-negotiated unilateral declaration of a Palestinian state and its latest excursion into Ben White territory, as documented here. The conversation I believe we must have is about democracy, and it is one which also applies to other bodies acting in a similar manner to Yachad, such as J Street and the New Israel Fund. A basic principle of democracy is that the citizens of a given nation together, by means of universal suffrage, determine the policy, laws and actions of their state. Democracy is also based upon the important principles of equality and freedom. Under the democratic system in the State of Israel – to which Yachad claims to be committed – every citizen over the age of 18, whose name appears on the electoral roll, may vote. That right to vote is not, of course, dependent upon religious affiliation, ethnic background, wealth, or any other factor which would undermine the principle of universal suffrage. And yet, despite not being citizens of the State of Israel and therefore not eligible to take part in the democratic system, the members of Yachad and similar groups seek to influence the policies, laws and actions of that state. In fact, they seek to side-step Israeli democracy which, despite their fine declarations, is obviously something which deeply disappoints them. The members of Yachad are of course by no means the first to be disappointed by and frustrated with the results of democracy. In fact, such disappointments can be said to be an inherent part of the system, but the art of preserving and safeguarding a democracy is rooted in the recognition of the very simple fact that although it is a system under which one does not always get the results one wished for, those results must be upheld and respected all the same. From the Geneva Initiative to J Street and Yachad, there have long been those who tried to circumvent the will of the people when the will of the people did not square up to their own ideals and expectations. The common denominator between such bodies is that they are convinced that they know better than the Israeli voters – whom only they can save from themselves. And so, such groups (claiming to speak for an unquantifiable number of people because they have been elected by no-one) will try to bypass the annoyances produced in plenty by the democracy they claim to uphold through the use of money and the influence it buys: antithesis to the idea of democracy if ever there was one, as well as being inherently foreign to Left-wing ideals. A clear example of this was seen only a couple of weeks ago in a Knesset sub-committee meeting in which the unelected leader of an unelected body claiming to represent British Jews (who, incidentally, also took credit for the formation of Yachad) informed those present that for the UK Jewish community to be effective in the support of Israel, the voices of their leaders (ie the speaker) must be heard within Israel. But not only is the idea that interested parties unable and unwilling to take part in the democratic process in Israel should bypass that process by means of hard cash abhorrent. The members of these foreign Jewish groups also seem remarkably unconcerned by the fact that 20% of Israeli voters are not Jewish. What moral right can Jewish groups such as Yachad claim to have as they coincidentally attempt to influence the futures and lives of Israel’s Muslim, Druze, Christian, Bahai, Bedouin and Circassian citizens? One will often hear the argument put forward that because all Jews are in theory entitled to make aliyah and become Israeli citizens, the voices of Jews abroad – members of the Jewish nation – should be heard in Israel on an equal footing. That argument is, of course, not supported by Israeli law, which makes taking part in the democratic process conditional upon citizenship. Even if we were to put aside the fact that the right to vote is dependent upon certain obligations such as living in the country, paying taxes and contributing military service, there is another facet to that argument too. The voices we hear from abroad trying to influence Israeli policy come exclusively from the West. Even if one did contemplate the idea that Jews abroad should have a stake in deciding Israel’s future, one must necessarily include in that Jewish voices from outside the English-speaking bubble. And that would include voices which represent a very different Jewish experience to the one exemplified by groups such as Yachad or J Street. Such different voices exist inside Israel too – where not only Jewish experiences are relevant – and indeed they are part of what shapes the choices made by Israeli voters. What groups such as Yachad and J Street fail to appreciate time and time again (somewhat condescendingly and with more than a whiff of old colonial-style attitudes), is that the Western, left-liberal, English-speaking approach to the many thorny problems which Israel faces is far from being the only legitimate view-point. The voices of Jews expelled from Arab lands, or of Israeli Druze and Bedouin, or of the former Lebanese civilians who found refuge in Israel 12 years ago (to name but a few) are no less legitimate or important because those groups do not have vast amounts of money with which to purchase influence. That is why we have democracy in Israel: so that all the members of our beautifully rich and varied society can have their say, no matter what their personal status. So that all the people who will be affected by any choices the Israeli government takes can make their opinions on those decisions known. As someone who comes from the Left and believes fervently in Israel’s truly multi-cultural liberal democracy, I find it offensive that some Jewish groups abroad apparently have so little to learn from the opinion-forming experiences of Israelis and so little respect for Israeli democracy that they seek to bypass it, thereby silencing voices different – both politically and ethnically – to their own. I would hope that Left-leaning, liberal democratic British Jews would find that offensive too. The Secret of Israel is Out - It's Magic!! They weren’t pulling rabbits from hats at the Holon Theater, but some of the world’s most talented magicians, hypnotists and mentalists wowed audiences with their original tricks during the Society of Magicians’ International Magicians Festival the first week of May. The two-day extravaganza, coinciding with the 30th anniversary of the Israeli Society of Magicians, encompassed a professional five-day convention as well as three shows open to the public. Many of the participants had never been to Israel before: Asian magic champion Yu Ho Jin from South Korea; European mentalist Jan Bardi; Andrew Mayne, adviser to US magic superstars David Blaine, David Copperfield and Penn & Teller; American children's magician Doug Scheer; mentalist Haim Goldenberg from the Canadian television show “GoldMind”; and Las Vegas “close-up” wizard Shoot Ogawa. The roster of Israelis included 2010 and 2011 Israeli magic champion Guy Zlotnik, perception artist Nimrod Harel, mentalist Amir Lustig, “mind-bender” Shimi Atias, info-tainers Lior Manor and Ron First, illusionists Tomer Dudai and Tzahi White, French-Israeli magician Mime Daniel and “Dance Magic Show” performers Dana and Daniel. Manor, Harel and Dudai hosted an international magic show combining the greatest magicians from Israel and abroad. Zlotnik hosted a child-oriented show featuring Scheer. “Late Night Cabaret” provided an adults-only experience. 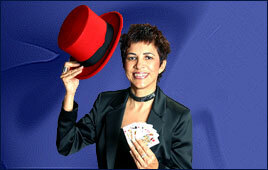 She explains that “close-up” refers to sleight-of-hand and misdirection tricks using objects such as cards, rings, coins and rubber bands that the audience can see up close. This is the specialty of street magicians such as David Blaine. Recently returned from a convention of magicians in Italy, Pelled is planning to be among 3,000 magicians at a global competition of magic in Great Britain (Blackpool) this July. “The Israeli Society of Magicians is part of FISM, the International Federation of Magician Societies, and every three years it has a huge world competition in a different country. The year before that, there’s one on every continent, and I was a judge at the European competition last year in England,” she explains. mental arts shows: "Who will Defeat the Master," where more than 30 magicians will attempt to challenge American magician and mentalist Max Maven; and "Psycho," starring Harel and Lustig. The mentalist Suchard, winner of the Israeli "Phenomena" (Hayoresh) TV series, is emceeing a new Channel 2 trivia show, while Atias is co-hosting a Channel 1 interview show. Pelled, who does “parlor magic” for adults -- a mixture of general magic, close-up tricks and mentalism – says she is one of the few female magicians anywhere. Pelled took up the sideline at 25, out of a fascination with “the intelligent part of creating the magic.” She and her husband run a business called People and Computers, offering high-tech media and event organization. The Israeli Society of Magicians holds monthly meetings in Tel Aviv, plus magic workshops, lectures by international magicians and community service projects. It has a group of about 25 young magicians in training, led by Vice President Zlotnik. The society maintains a website with an active forum for magicians and fans, and arranges for Israeli magician delegations to travel to conventions abroad. The1st Early Childhood Education training takes place in May in Accra. This course marks the first stage in adopting the very successful Early Childhood Education program which was piloted in Kumasi 3 years ago by MASHAV (Israel’s Agency for International Development Cooperation) and the Millennium Cities Initiative (MCI). The program focuses on using proven Israeli knowledge and experience in the field of Early Childhood Education to train qualified teachers in Ghana with skill sets that focus on studying through play. These techniques allow for a much better learning experience for the children, while maintaining the Ghana Education Service (GES) curriculum. Lately, there has been much talk regarding the MASHAV Early Childhood Education program in Kumasi and the interest in the country seems to be high. The ECE success in Kumasi these past 3 years has generated attention from key stakeholders across Ghana. Earlier this month, Israeli experts from the Golda Meir Mount Carmel International Training Center in Haifa (MCTC) were invited by the GES task force in charge of developing the long term up scaling of Early Childhood Education in Ghana. Israel is running the only successful program in Ghana at this time, and the two experts were considered invaluable to the process. MASHAV, with the assistance of Ambassador Bar-li was only too happy to assist with their arrival to Ghana.